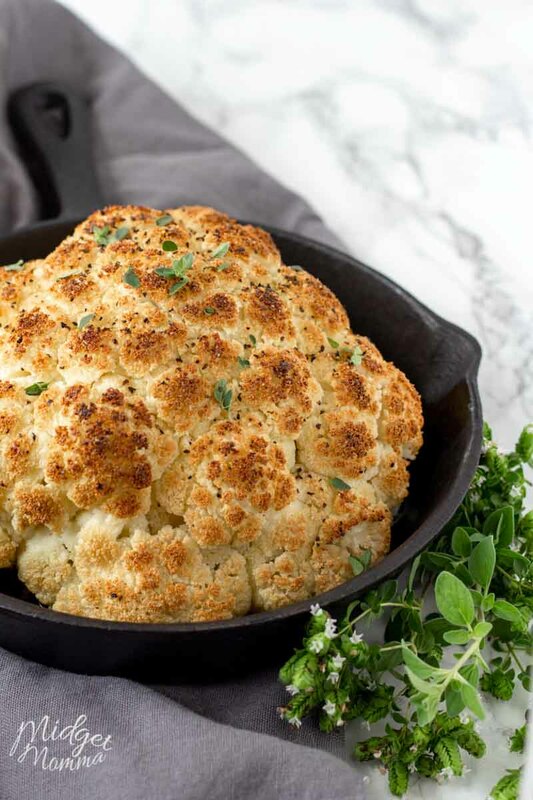 Oven roasted cauliflower is the EASIEST way to cook cauliflower. Roasting cauliflower in the oven is an easy and delicious way to cook cauliflower. A full head of cauliflower, coated with salt, pepper, garlic, and olive oil and then put in the oven to bake to perfection. 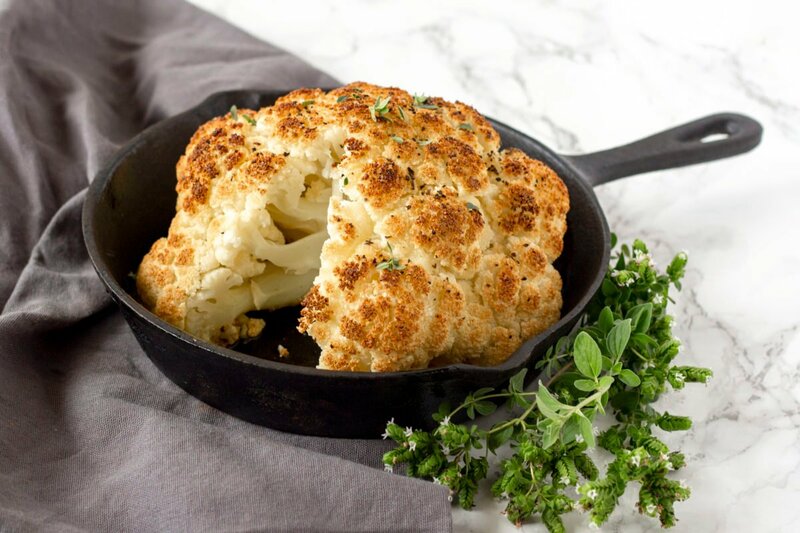 A simple roasted cauliflower is that perfect side dish, that is quick to make and comes out perfect every time! I opt for roasting cauliflower over other ways to cook cauliflower because of how quick and easy it is. I can prep the cauliflower, while the oven heats up and then pop it in the oven to cook while making the rest of dinner. With 4 kids running thru the house, I need to make sure things are quick and easy! 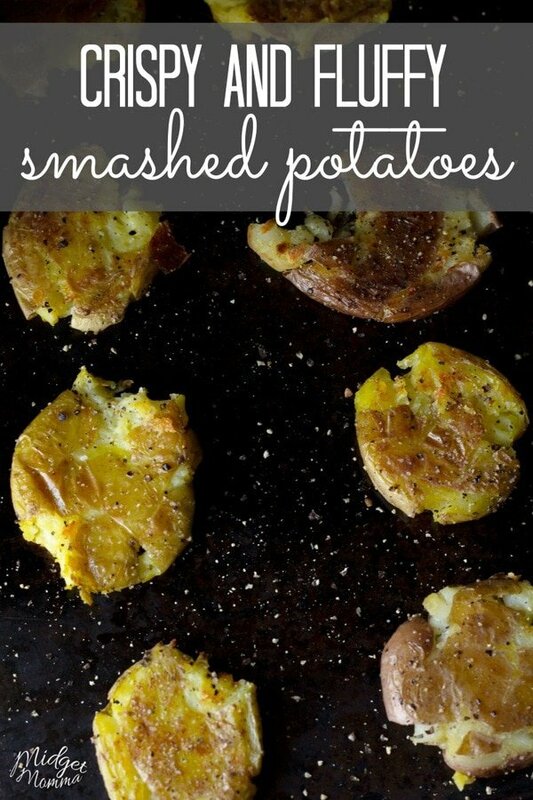 This is the perfect vegetable side dish for the nights things are crazy! 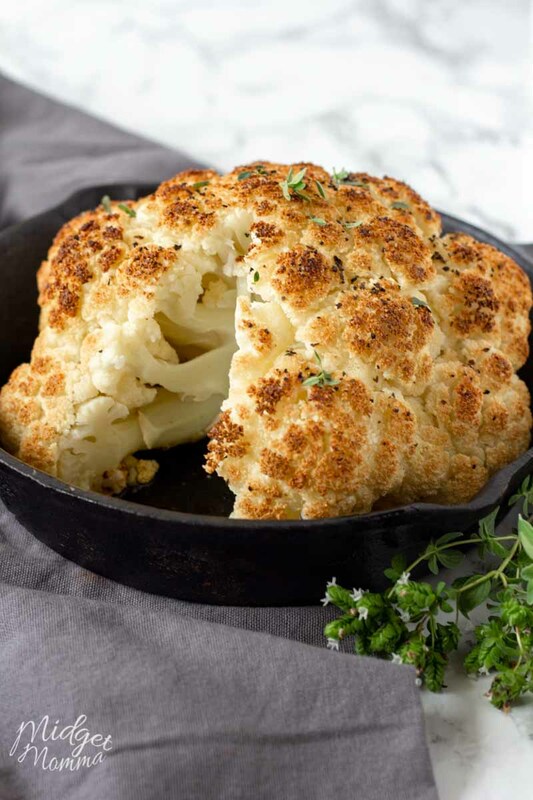 This whole roasted cauliflower recipe is one of my go to side dish recipes when making dinner and I need an amazing veggie side that won’t take much effort. Every grocery trip I make, I buy at least 1 head of cauliflower, even if it is not on the meal plan. We all know how things go, a crazy day means the meal plan sometimes gets tossed out the window. Cauliflower roasted in the oven with garlic and olive oil is my saving grace for veggies on those nights! 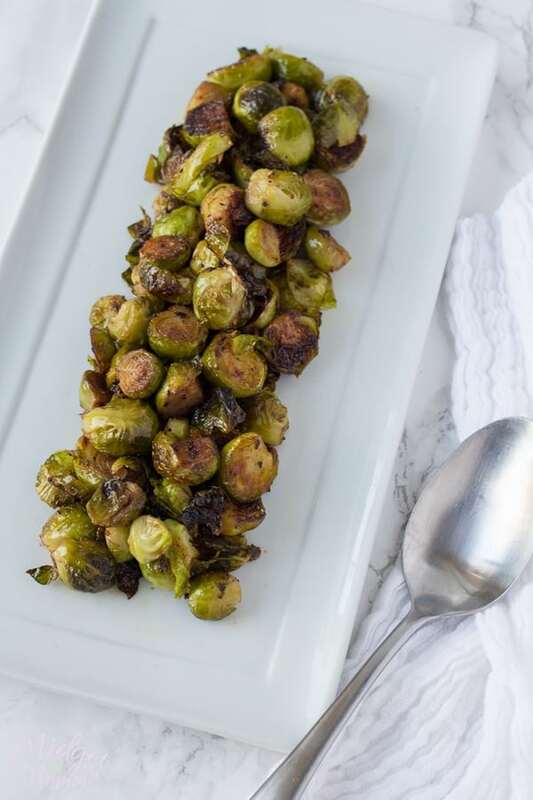 Hubby thinks I am a bit crazy at times, but how can I say no to an amazing, quick and easy veggie side dish that everyone in the house loves. 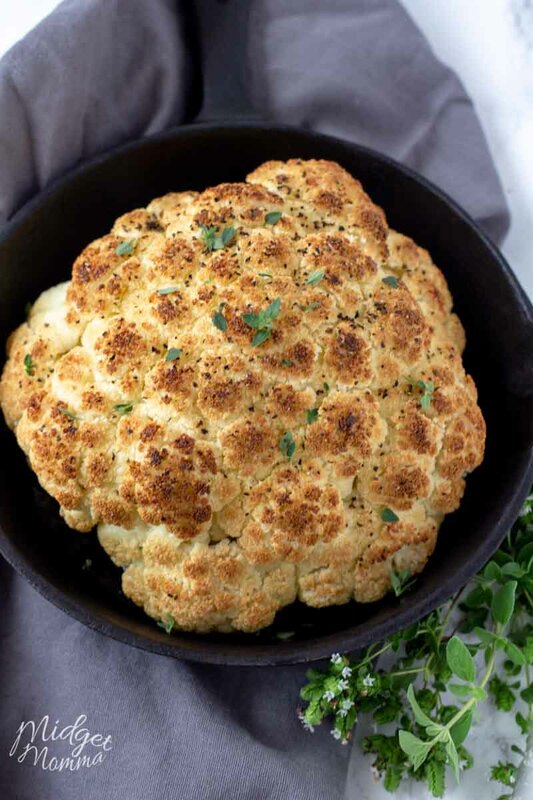 Roasting cauliflower is super easy! 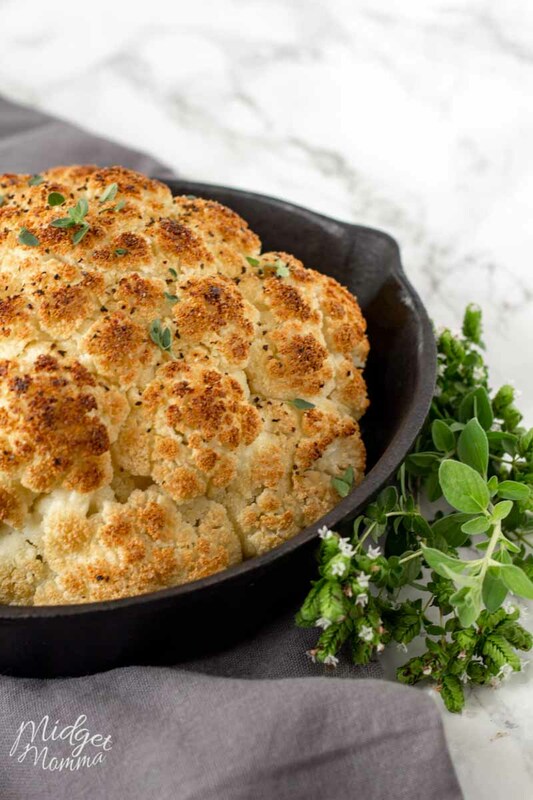 Roasting cauliflower in the oven is going to give you an amazing flavorful side dish that goes along great with many meats. The outside of the cauliflower caramelizes giving you a beautiful brown color with an amazing crips and tender inside. If you are running short on time, you can easily turn this recipe into cauliflower steaks. Just wash your cauliflower, slice it width wise to form cauliflower steaks and then season as you would making the whole roasted cauliflower recipe. They take a little bit shorter time to cook, so if I am running short on time with grump kids who want dinner, this speeds things up a bit. Roasting cauliflower steaks in the oven takes about half the time, so you will only have to cook the cauliflower for about 20 minutes or so if you cut it up before you bake the cauliflower in the oven. If you have leftovers of this roasted cauliflower recipe you can store it in the fridge. It keeps well and still tastes great heated up in the microwave for a few days after you cooked it. Although I do have to say, we typically only have leftovers if I have made 2 heads of cauliflower and planned on their being left overs ahead of time. When I have left overs from making this whole roasted cauliflower recipe I like to change up my cauliflower Mac and Cheese and use the whole roasted cauliflower in it. If you love cauliflower as much as we do, then you should also check out baked potato cauliflower soup and slowcooker cauliflower white cheddar soup! 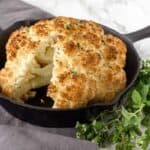 They are both amazing cauliflower recipes! Preheat the oven to 400° and lightly grease a pie pan with the oil. Set aside. Trim the base of the cauliflower to remove any green leaves and the stem to make it flush. Place the cauliflower on the prepared pie pan upside down and sprinkle it with 1 tablespoon of oil. Turn it right side up and drizzle it with the oil. Sprinkle the spices on the cauliflowers. Roast it in the oven until the surface is dry and lightly browned, 30 to 40 minutes. Let the cauliflower cool for 10 minutes before cutting it into wedges. 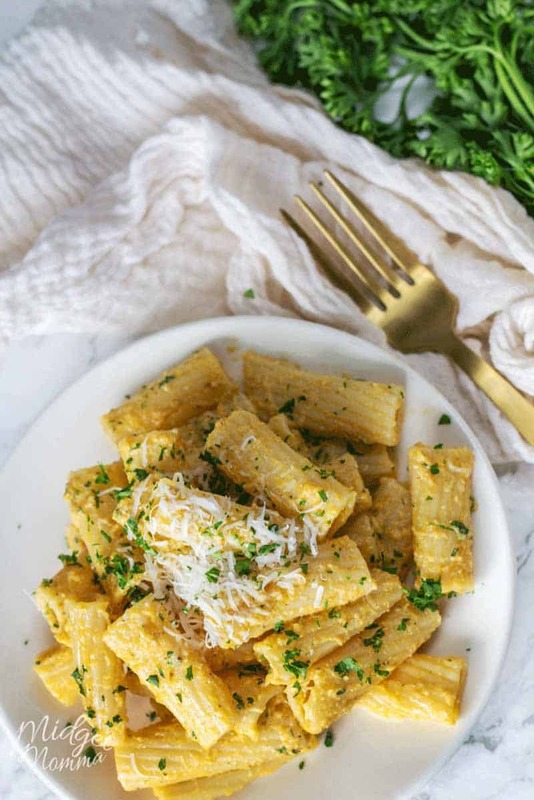 More Recipe you will Love!